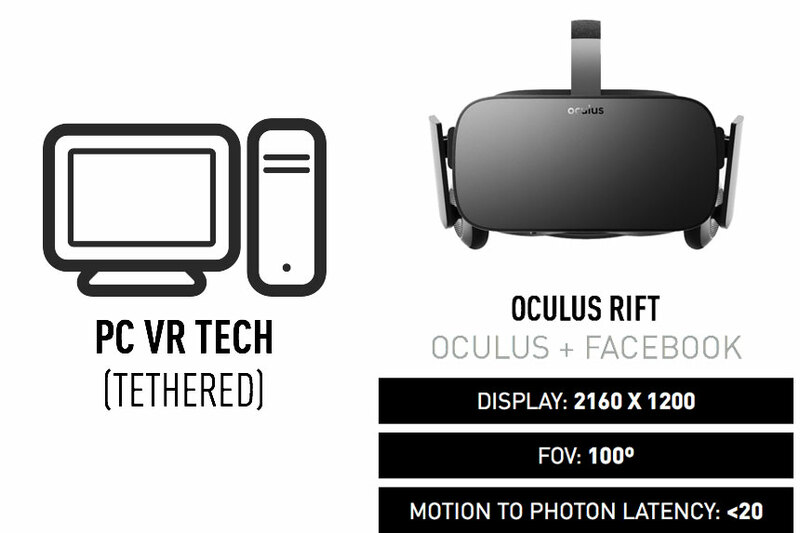 The Rift is best used for displaying fully immersive 360º interactive content. The consumer version of the headset will be available in April 2016. This headset is considered “tethered” as it does need a separate PC to power the experience. This opens up a wide range of exciting applications due to the experience rendering live, while you are in it. 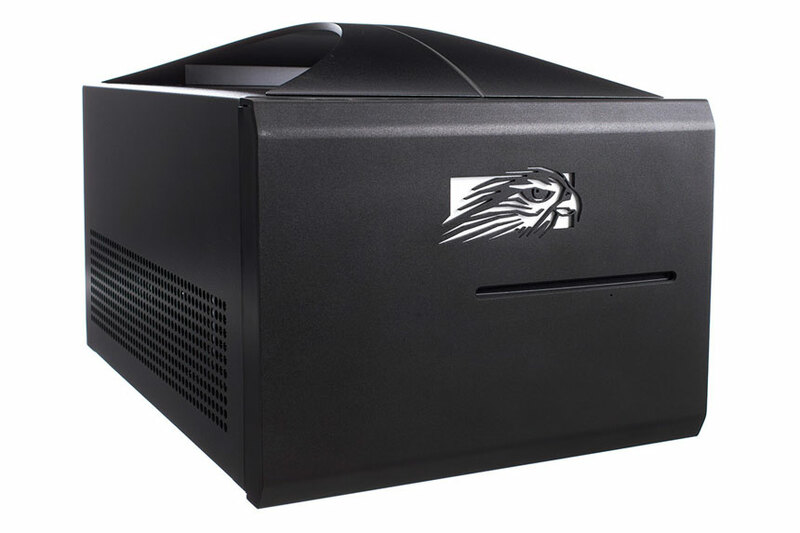 We often use Falcon Northwest Tiki Frag boxes to run our client’s experiences. This equipment can be rented out for your events or installations. We currently us multiple types of controllers for our Oculus experiences. We can integrate a handheld peripheral, like a game controller via Bluetooth for more advanced interactive requirements. 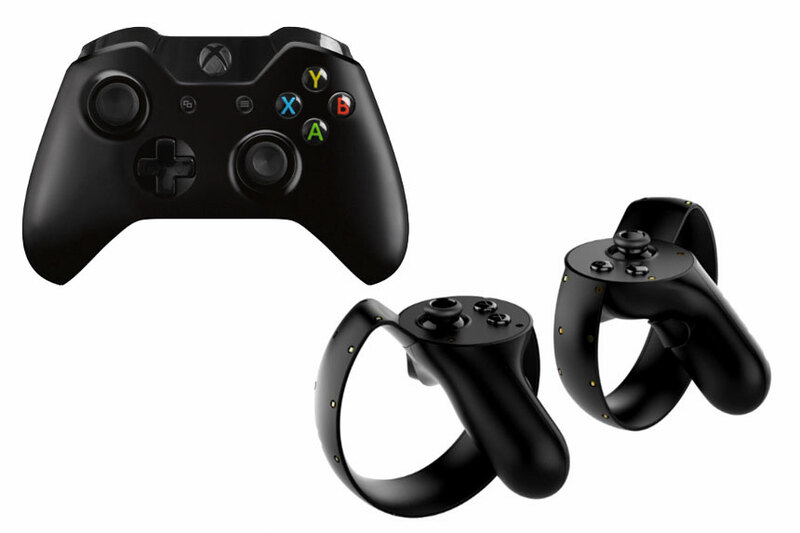 Oculus is creating a proprietary controller device called the Oculus Touch (pictured below), however, this tech is still in development and will not be shipping until Q2 of 2016. Private Localized Experiences – VR content will be released as a compiled EXE, so it can be installed on an PC’s locally. Public Release – VR content can be released for the general audience to download and experience as a downloadable EXE file through a URL. So distribution can be as simple as a link from your web site or through Oculus Share.